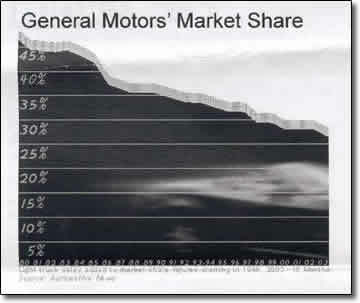 GM Shareholders have been waiting patiently for years for the GM Board and Officers to take action to stop the steady decline in market-share and profits. What can shareholders do to reverse this long-running trend? Mail in your proxies if you can't attend the annual shareholder meeting. Hold the Board and officers accountable for their failures. Elect the Buickman to the Board of Directors. Is General Motors in His Sights? Edward Lampert is sending clear signals that he is on the prowl for acquisitions now that Sears Holdings Corp., the company he controls, is on firmer footing. And that has Wall Street abuzz about potential targets for Sears and Mr. Lampert's hedge fund, ESL Investments Inc.
Possible targets being bandied about include Home Depot Inc. and Gap Inc., among others. But Mr. Lampert has been trading shares of General Motors Corp. in the past year, well below the radar screen of most investors. It is a potential sign the hedge-fund honcho might want to play a role in the auto maker's future. A spokesman for Mr. Lampert says he declines to comment. It isn't easy to track Mr. Lampert's moves. Like all hedge-fund managers he doesn't publicize his investments. 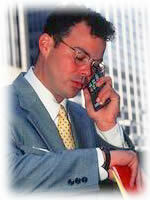 And while most big investment managers are forced to file so-called 13F filings after each quarter, listing their largest holdings, Mr. Lampert is one of a small handful who have obtained permission from the Securities and Exchange Commission to delay releasing details of at least some of those holdings. When he does make his filings, Mr. Lampert's firm makes its securities filings under RBS Partners LP, an affiliated entity. While he serves as chairman of Sears, the company doesn't provide earnings forecasts or conduct quarterly calls with analysts. In a little-noticed move last month, RBS made an amended securities filing with the SEC showing that Mr. Lampert's firm owned 1.754 million shares of GM at the end of 2005, and that it reduced that stake to 633,000 shares of GM at the end of the first quarter of this year. The confidentiality treatment for those periods ended last month, prompting Mr. Lampert to make the amended filings. It isn't clear if Mr. Lampert's firm owned more or fewer GM shares at the end of the second quarter -- or if he owns any GM shares today. That is because the hedge fund said in its second-quarter filing that it again received permission to omit certain "confidential information" from the filing of its holdings. So the GM shares could be among those that Mr. Lampert didn't have to disclose, say securities attorneys. Mr. Lampert's holdings made up a small slice of GM's 565 million shares outstanding, and Mr. Lampert might have traded GM as part of a short-term strategy, to take advantage of a beaten-down stock. But that isn't a tactic he usually employs. Most of his holdings in recent years have been major commitments and efforts to exert his control. ESL owned about 30% of AutoZone Inc. at the end of the second quarter, for example, and approximately 24% of AutoNation Inc.
Could Mr. Lampert emerge as a player in the GM situation? The auto maker is trying to engineer a turnaround, and Kirk Kerkorian, the billionaire shareholder activist, is pushing GM to consider an alliance with Nissan Motor Co. and Renault SA. Mr. Kerkorian owns almost 10% of GM. But some investors speculate Mr. Lampert might have an interest in helping turn around the company, in part because he likes situations where conventional wisdom suggests failure is a foregone conclusion. He bought Kmart which later was merged with Sears, when few saw value in the retailer. And he has been focused on pension issues in recent quarters -- Sears and Kmart have had to grapple with those costs and they are something that GM is dealing with. NOTE: This should not be dismissed lightly, as his record with K-MART & SEARS proves. This would be a multi-year project. The proxy statement will include detailed instructions on how to vote by the Internet or telephone. Telephone voting instructions will include the toll-free phone number for stockholders to call.